Introducing: Aubergine fox. A small business run by Katie and Eloise, stocking a large variety of little trinkets to cute-ify both your desk area and person. 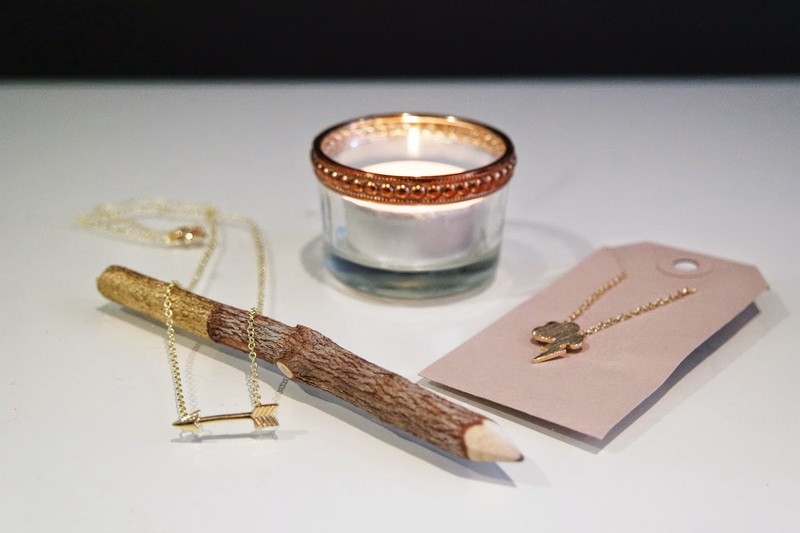 I'm a big lover of gold charms and gem stone jewellery, which they have in excess, as well as sweet, hand made products like dipped twig pencils, hand illustrated notebooks and more. 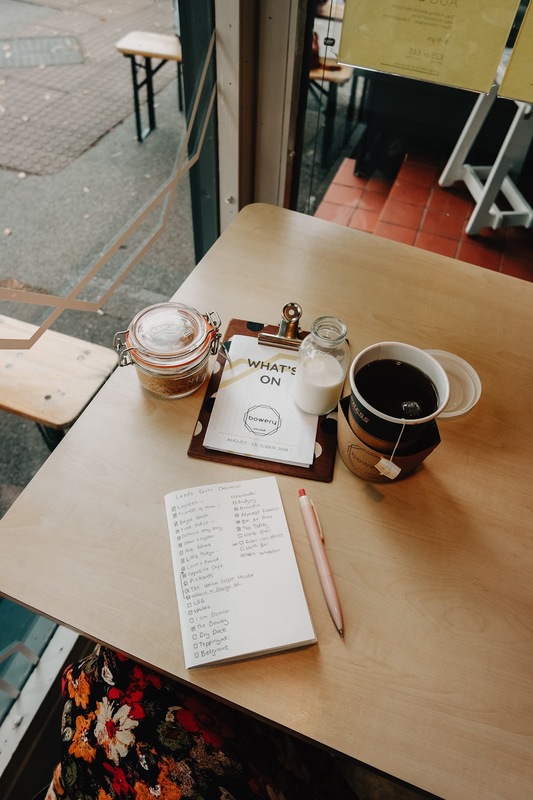 I've enjoyed seeing Katie's new creations on social media for some time now, but only recently succumbed to my wish list when she made this post about her personal journey. Completely heart warmed by what a driven, inspirational character Katie is, I decided to finally show my support. Most shops that I follow specialise in something particular. For example jewellery stores that work with raw crystals, or design brands that apply their style of illustration to products. However I do like that they leave their Etsy shop so open to new items. It's lovely to see someone who just clearly loves to have creative freedom and make pretty things! 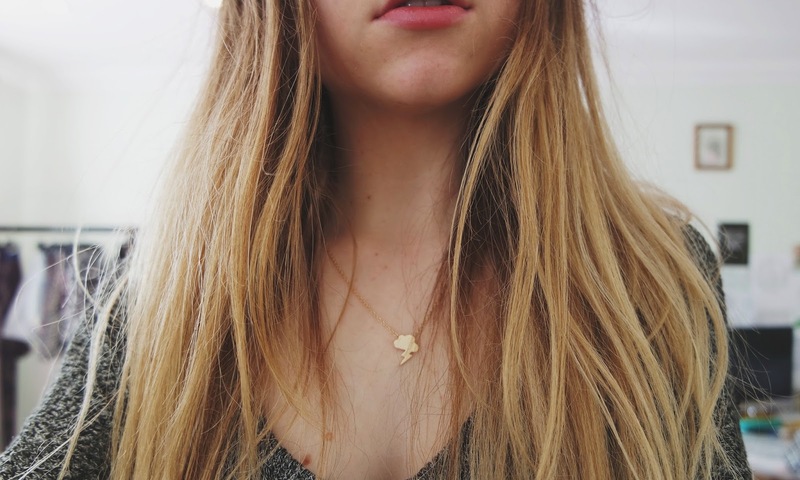 I opted for the two miniature charm necklaces which both sit nicely below my collar bones. 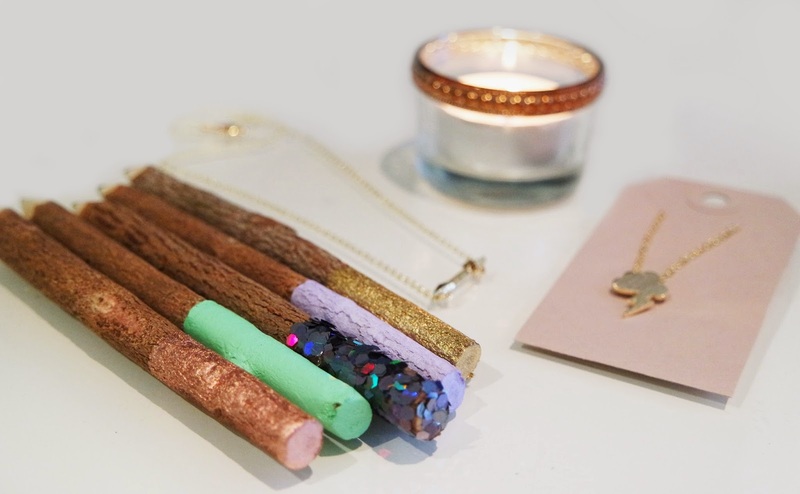 I knew I wanted to order some dipped twig pencils for photo props, but the colours come in sets of 5. Knowing a colour range would be best to complement a wider range of products, I contacted them asking whether I could mix & match. Luckily they were perfectly happy to help me out and I now have the gorgeous copper, mint green, dark glitter, lilac and gold shades to play with. It's lovely to find a store which lets you customise your order. A valuable feature I wish I was more able to offer my own customers! 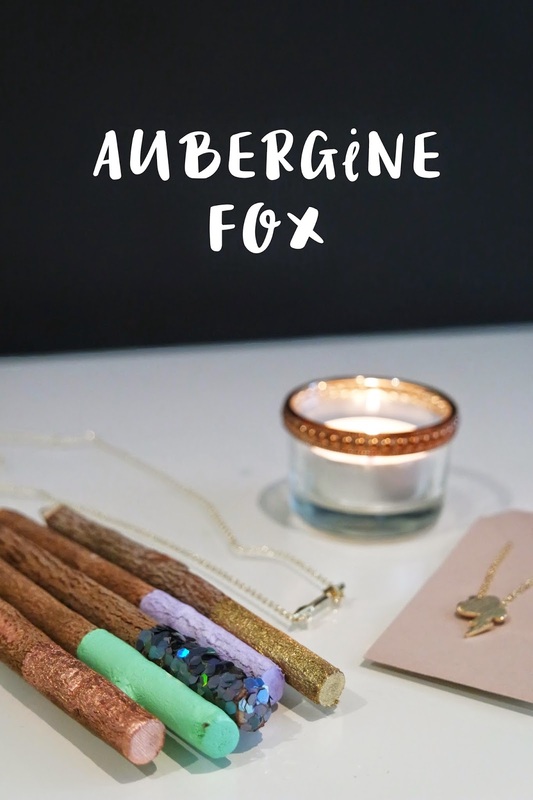 Aubergine Fox is definitely a shop to follow for when you're feeling the need to treat yourself at an affordable price. You're sure to find a little something to pick your fancy! Would you like to see more of these small business spotlights? Do you have any recommendations? Notice I haven't gone into much detail about the products, the idea is to review each shop as a whole and I may feature some products in future posts. As a shop keeper person, I feel it's so important to support others where I can and encourage more people to do so. Watching young people build successful careers is amazing. Help 'em out! Those pencils make such good props. It's so cute to see you supporting other small businesses, I'd love to see more of these posts! I love Aubergine Fox's etsy shop, their necklaces are my absolute favourite things, and I have to honestly stop myself from buying pretty much everything! Wow these are so cute and so affordable! You must really be good friends with Katie and Eloise for featuring their products in your post. By the way, those trinkets are very lovely, and it’s great that they come in variety! I hope to have one of their creations too. Thanks for sharing with us, Polly! Have a great day!